UPDATE Monday 8:14pm – WataugaOnline.com has confirmed the identities of the two men involved in the incident. The deceased has been identified as Adam Hamilton Greer, the other man is Tim Watson. Watson's current condition is not available from law enforcement. WataugaOnline.com will continue to follow up as more information becomes available. UPDATE Monday 12:13pm – WataugaOnline.com has confirmed that 18-year-old Makala O’Brien is charged with DWI, driving after consuming under the age of 21 and two counts of felony hit-and-run resulting in a death or serious injury. The name of the two males involved have not been released. An incident over the weekend, along a local road, has left one male dead. 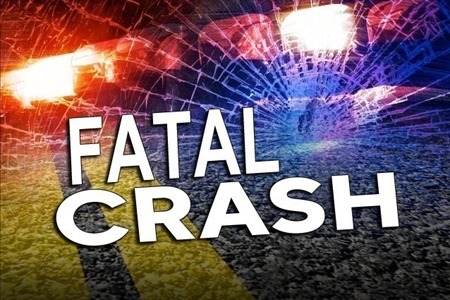 Late Friday night/early Saturday morning, Watauga County Sheriff's Deputies were dispatched to Rock Crusher Hill, on highway 105, to two male victims in the roadway. According to a Sheriff's office report, one male was found dead on arrival and the other in critical condition but was talking. Both males had been struck by a vehicle. The males were walking from a party at Dove Acres, the report says. A silver Ford Ranger was given out as the suspect vehicle and a BOLO (Be On The Lookout) was issued for two females. The Ranger was found at a location in Watauga County and the driver told deputies, according to the report, that two females had been given a ride by a Chevy truck pulling a race car. A deputy located the Chevy truck near the stateline on highway 421, where the driver said he had given the girls a ride to Mountain City, Tennessee. The report goes on to say that the driver of the Chevy could not recall the physical address where he dropped the females off, but would take law enforcement to the location. Johnson County, TN officials were contacted and a Watauga Deputy responded with the Tennessee officers to the apartment where the females were dropped off, according to the report. The two females, one 15-years-old and the other 18-years-old, were located and along with a guardian for each returned to the Watauga Sheriff's Office to give statements about the incident. DWI charges have been filed, but it was not clear from the Sheriff's Office report as to whom the charges had been filed against. The incident is still under further investigation. The North Carolina Highway Patrol also responded to the scene but no further information was available from their department on Sunday night.